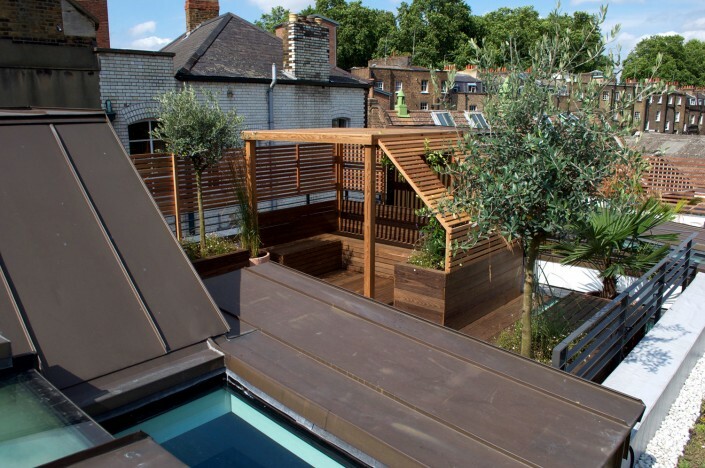 Award-winning garden roof terrace in Bloomsbury, Central London (WC1). Materials: Kebony screwless decking, Cedar pergola structure and trellising, air con screen cover, Kebony planters, Kebony Benches, Sedum green roof matting, units, Hunza lights, terracotta pots, Strongtie fixings, Claber micro drips. Brief: The clients are both hard working professionals and their jobs take them all around the world. 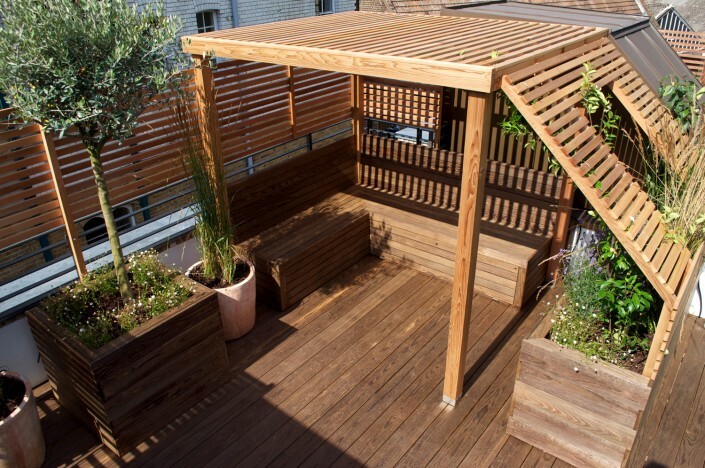 They contacted us because they wanted to make improvements to their roof terrace. 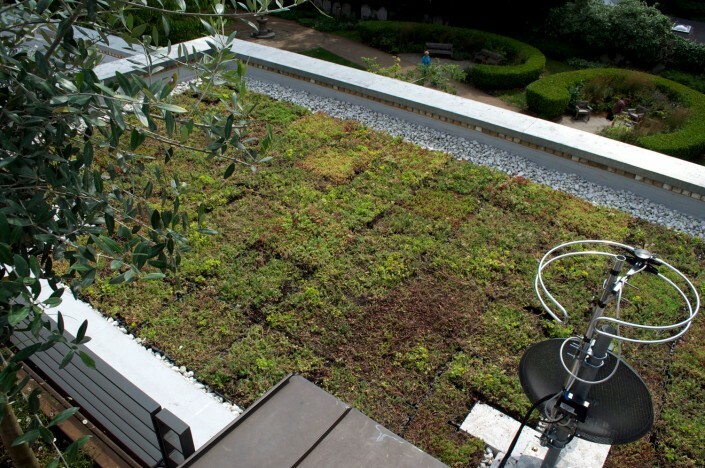 They had recently purchased a new-build property in Bloomsbury, central London. It was one of three houses that had been recently completed. New builds are rare in this area and this is the first development at this location for over one hundred years. Being an area of significant historical heritage, the architects had to design something that blended all the latest in contemporary design with the areas rich historical heritage. With limited outdoor space, the client wanted to make better use of their decked terrace. They wanted to create a special, private oasis. It was essential that it complimented the contemporary feel of the architecture and it had to transform the rooftop into a retreat from the hustle and bustle of the busy streets below. It had to be a place which enticed the clients into wanting to spend time in. A rooftop pergola was constructed with angled screening, integral seating and bespoke wooden planters. The slatted screen was deliberately slanted to match the angle of the design of the roof access. The area was completely re-decked in high quality screwless decking and air conditioning units were carefully disguised inside bespoke, open slatted cupboards. The adjacent roof space was covered in a special sedum green roof. 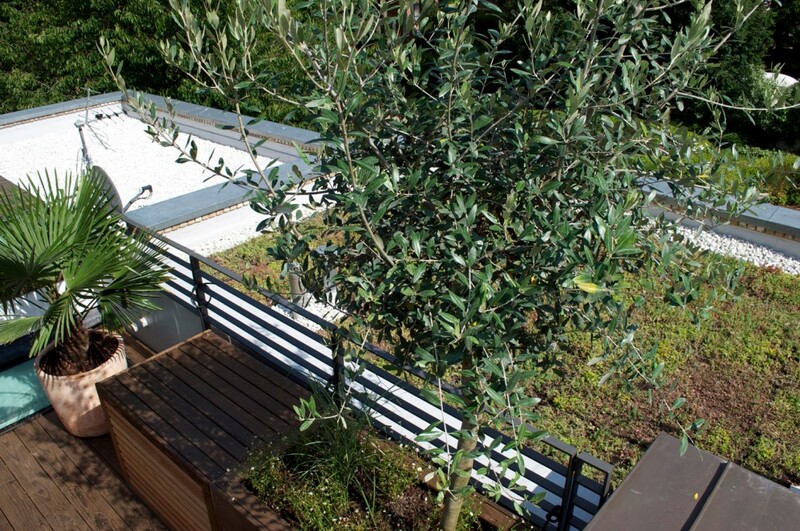 Bespoke standalone planters were built and specimen small trees planted. 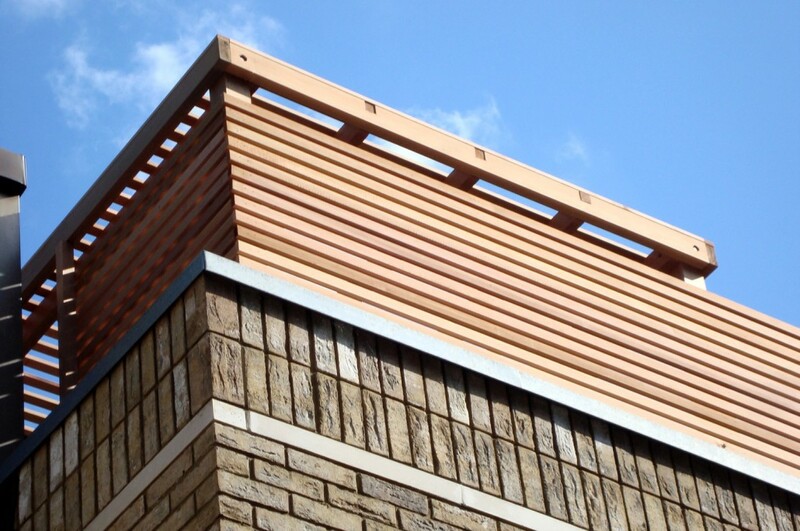 We won the 2014 APL Highly Commended award for our ‘Wakefield Street’ project. 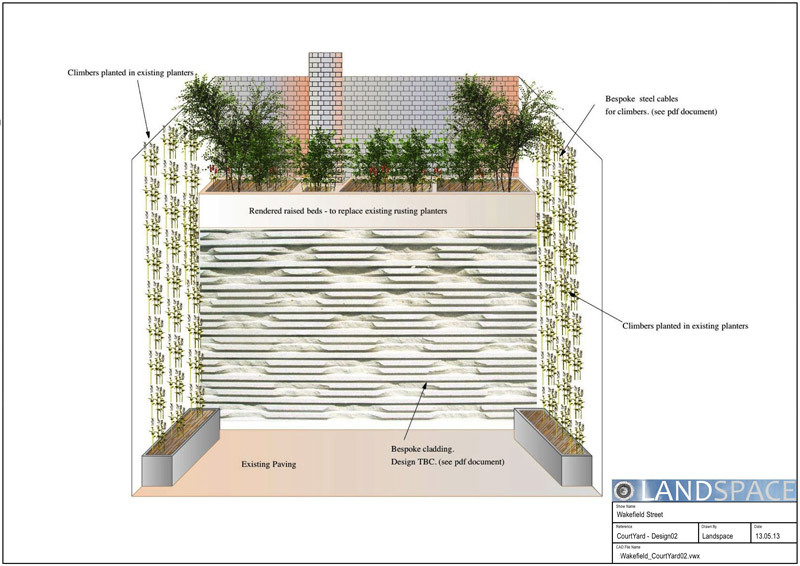 Materials: Buff quartz stone wall cladding, Mapei adhesives, bespoke stainless steel tapered planters, stainless steel cable/trellis rigs, Claber micro drip irrigation, sawn buff sandstone coping stones. 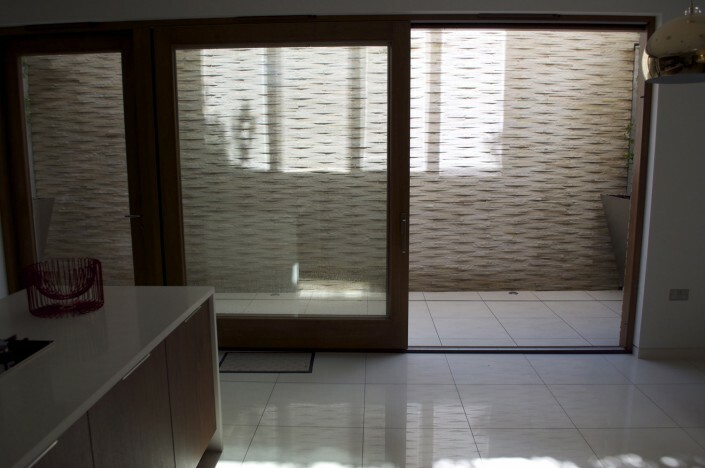 Brief: The light well is looked out onto from the basement kitchen and is accessed via large sliding doors. 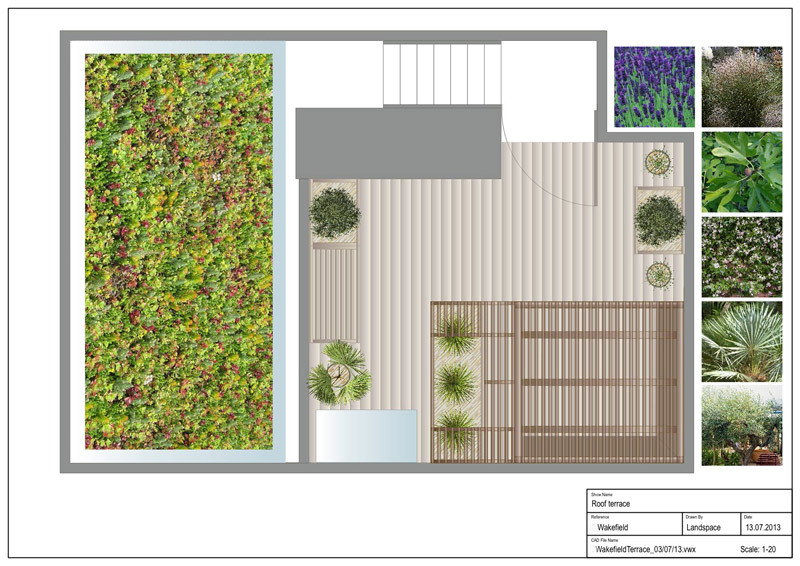 Their living room is on the upper ground level and looks out onto a listed wall (part of a Victorian park) and this wall forms the boundary to their property. The clients wanted to create something a little more interesting to look at. The original layout was not very inspiring and was a little drab. We spruced up the light well by cladding the existing retaining wall with buff quartz stone. 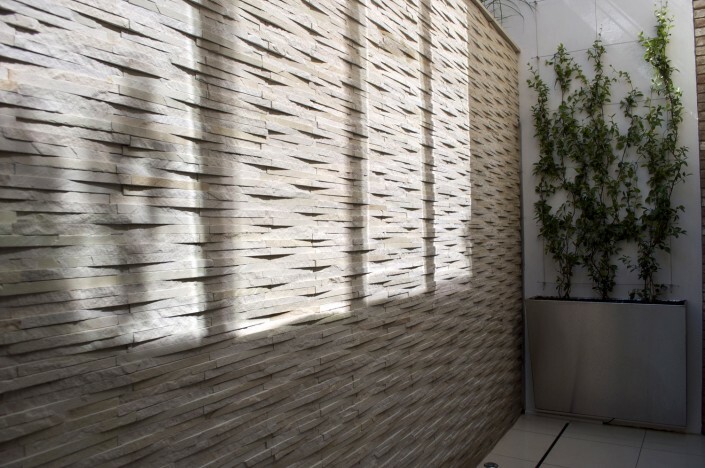 This natural material gave an eye-catching dimension to a previously bland, stained, white wall. The top of the retaining wall was planted with low maintenance grasses. 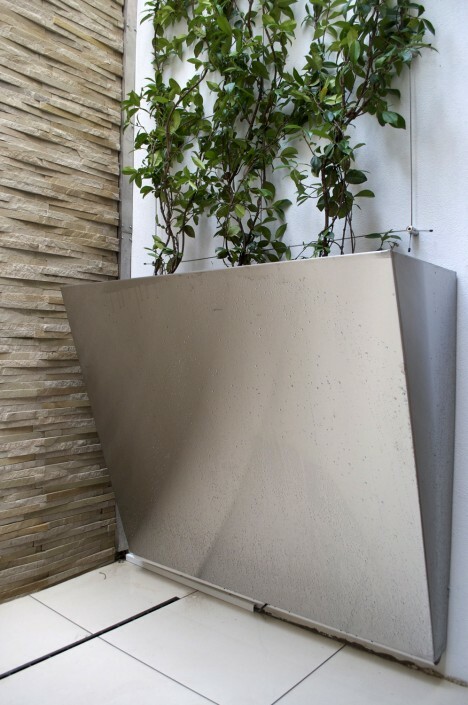 Either side of the light well, at kitchen basement level, we designed and had fabricated, two bespoke tapered stainless steel planters. These planters were attached to the walls and planted with climbers. 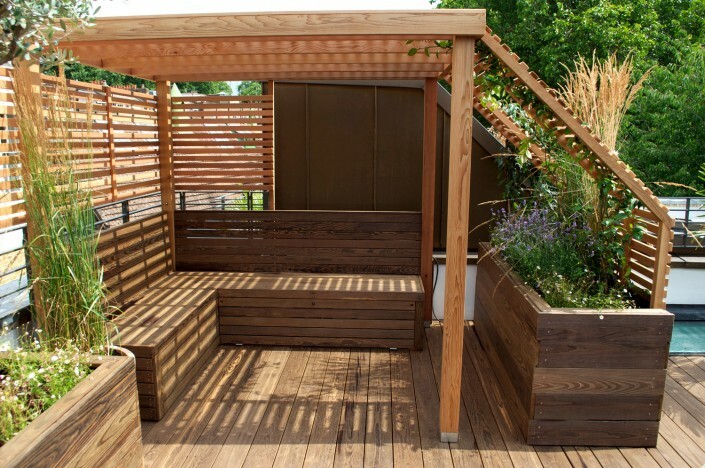 They were designed like this to make the most of the limited outdoor space.